Friday’s action at the World Under-17 Hockey Challenge produced a pair of victories for Canadian teams, with Canada guaranteed at least one medal at the tournament. 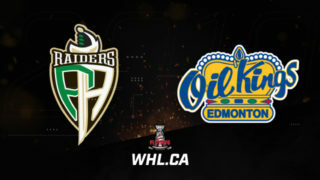 Canada Red will play for gold Saturday at the Encana Events Centre in Dawson Creek, B.C. following a 3-2 victory over the Czech Republic. 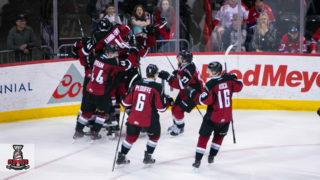 After giving up the opening goal of the game, Canada Red struck late in the first to even up the score, with Bowen Byram (Vancouver Giants). 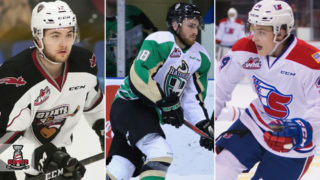 After the teams traded goals in the second, Canada clinched the victory late in the third period, on a goal assisted by WHL Rookie of the Month Dylan Cozens (Lethbridge Hurricanes). Canada White will play for bronze at the tournament following a loss to the United States in Friday’s semifinal. 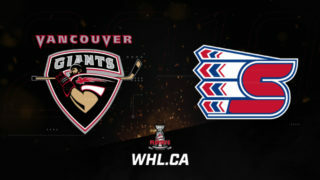 Taylor Gauthier (Prince George Cougars) and Jonathan Lemieux combined for 30 saves in the contest. Canada Black ended their tournament on a positive note with a 4-2 victory over Sweden to clinch seventh place at the tournament. After a scoreless first period, Canada White and Sweden combined for five goals in the second period. 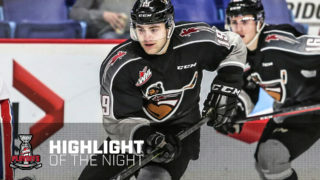 Captain Sasha Mutala (Tri-City Americans) scored Canada’s second goal in the period, which was assisted on by Massimo Rizzo (Kamloops Blazers) and Matthew Robertson (Edmonton Oil Kings). Canada’s third and final goal of the period belonged to Rizzo and featured an assist by Mutala to put Canada up by one after 40 minutes. Mutala factored into the lone goal of the third period, assisting on Canada’s goal with 45 seconds to go. 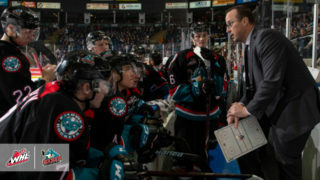 Roman Basran (Kelowna Rockets) made 30 saves on 32 shots for the victory, including stopped all 13 shots in the third period to preserve the victory. Friday’s other placement game saw Russia top Finland by a 5-4 score. Canada will play for two medals Saturday, with the guarantee of at least one. In the gold medal game, Canada Red will try to take down the United States while Canada White will battle the Czech Republic for bronze in the afternoon.